Situated on the Fosse Way this small working farm is easily accessible. A warm welcome and a hearty breakfast awaits, with all ensuite rooms having open views. An ideal touring base for many surrounding visitor attractions and the Bath & West showground is nearby. Visit Castle Cary Somerset and the surrounding villages and stay in bed breakfast, hotel or self-catering accommodation provided by BedPosts members. Castle Cary is a town in Somerset positioned on the River Cary near Wincanton and Shepton Mallet. The modern outskirts have little of interest, but the centre of this old town is worth exploring. The main street contains pleasant old shops and houses; behind the market hall stands a little circular lock-up, built in 1779 like a stone beehive, with gratings instead of windows. Castle Cary was the home of Parson Woodforde, whose diary, published as Diary of a Country Parson, is a classic of 18th century country life. Town attractions include The Roundhouse, an 18th Century prison built in 1779, and The Market House, a grade II listed building built in 1855 which now houses the local museum. 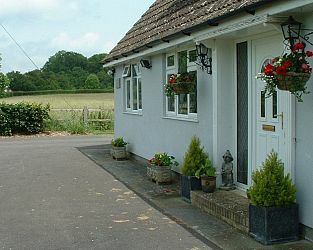 If you seek accommodation near Castle Cary in Somerset you have come to the website of a “club” of providers who offer affordable quality accommodation around UK in hotels, bed and breakfasts, guesthouses, inns, and restaurants plus self-catering cottages and apartments .